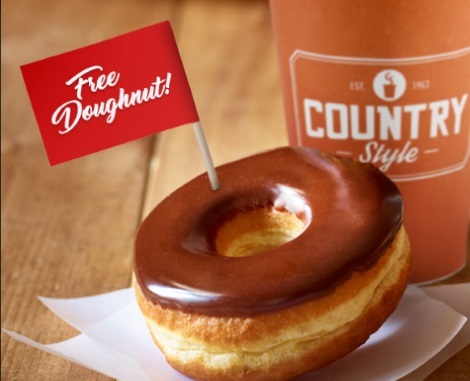 Country Style is celebrating National Doughnuts Day with Free Doughnuts! Get a Free regular doughnut with the purchase of any large or extra large beverage. Offer is available Friday, June 2, 2017 only. Click here to find a Country Style near you.